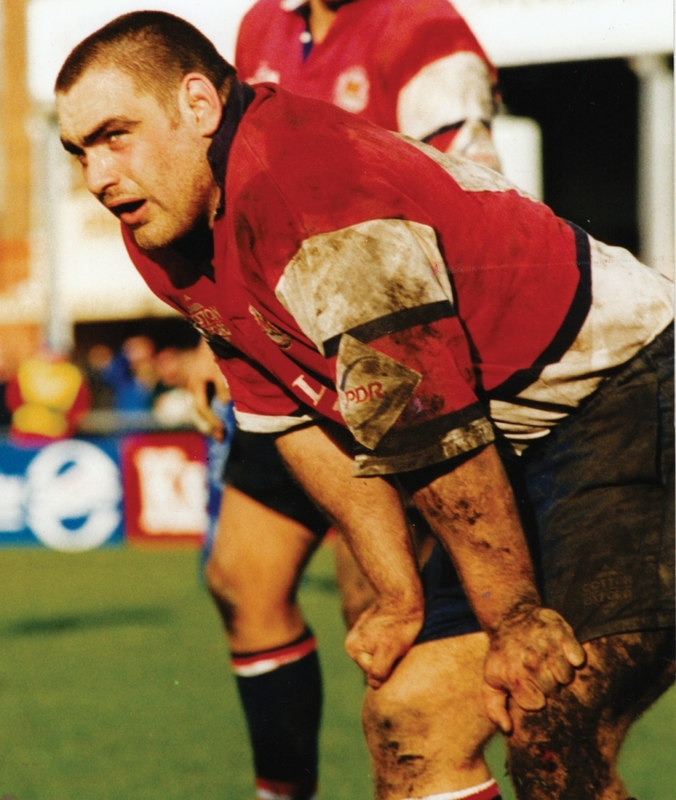 Although he never quite attained the same level of popularity as his front-row colleague and fellow Cornishman Phil Vickery, Trevor ‘Dougie’ Woodman was an important member of the Gloucester side under Richard Hill, Philippe Saint-Andre and Nigel Melville, making 140 appearances. For a period of time made all too short by his susceptibility to injury, he was good enough to be regarded as one of the best loose-head props in world rugby. Born in Plymouth on 4th August 1976, Woodman was brought up in Liskeard and initially played for his local club before spending brief periods at Plymouth Albion and Bath. While at the Recreation Ground he played for England Colts and formed a powerful front-row with Vickery and Phil Greening. A year later, in 1996, he joined them at Kingsholm. It took Woodman a while to supplant the experienced Tony Windo as the club’s regular loose-head, but, having done so, he quickly became familiar to the Kingsholm faithful both as a solid scrummager and an extremely talented ball-handler, whose turn of pace made him ideally suited to the way in which professional rugby was developing in the late 1990s. After consolidating his place in the Gloucester side during 1998-99 and playing a full season for England A, Woodman made his debut for England as a replacement in a World Cup warm-up match against the USA at Twickenham in August 1999, although he failed to be selected in the England squad for the tournament itself. With Jason Leonard and Graham Rowntree usually selected ahead of him, Woodman made occasional appearances off the bench for England over the next few seasons, although he was hampered by injuries. However, after an outstanding performance in his first start for England against the All Blacks at Twickenham in November 2002, Woodman remained his country’s first choice until the end of his career. Woodman was equally important to Gloucester during this period. Although, because of injury, he never again appeared as regularly as he did in the 1999-2000 season, his commitment to the cause was exemplified by the part he played in Gloucester’s outstanding 2002-03 season, at the end of which they finished at the top of the Zurich Premiership table and won the Powergen Cup, beating Northampton in the final at Twickenham. Later that year, when England won the World Cup in Sydney, he was wearing the number one shirt, and he returned to Gloucester to bring the house down with a superb try against Northampton at Kingsholm the following Saturday. In the summer of 2004 Woodman joined Sale, but within a few weeks of the start of his first season with the Sharks he sustained an injury to his back while training in the gym which ultimately led to him announcing his retirement from rugby in early 2005, aged just 28. After a period of time living in Australia, Woodman returned to the UK in 2009 and is currently Forwards Coach at London Wasps. Because he was forced to retire early, there is a strong sense of unfulfilled potential about Trevor Woodman, but he will remain a player remembered with affection by those fortunate enough to see him play for Gloucester and England, and, for as long as he lives, he will remain one of the ‘Sydney 15’, English rugby’s greatest team.